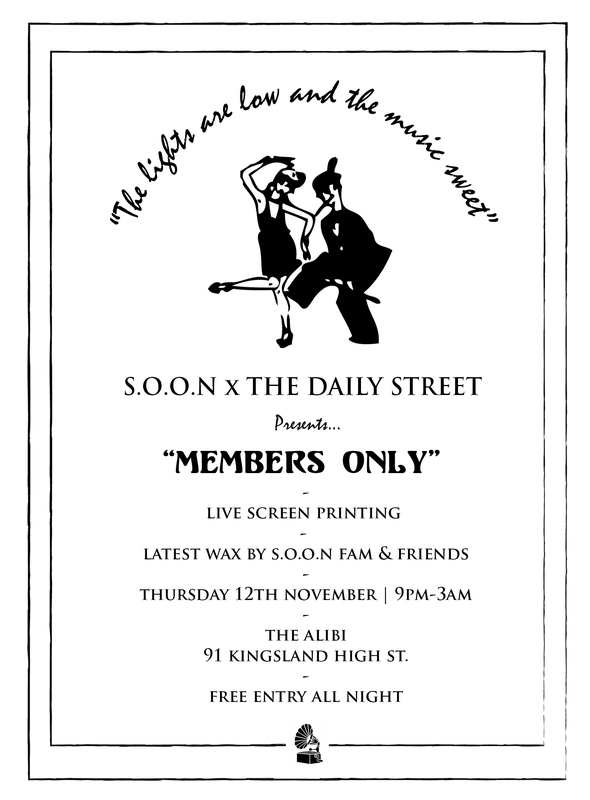 We’ve teamed up with London brand S.O.O.N to take part in their SOON COME series at The Alibi in Dalston, along with a commemorative t-shirt. Now a regular monthly fixture at The Alibi, SOON COME is a simple affair of good people with good music having a good time. 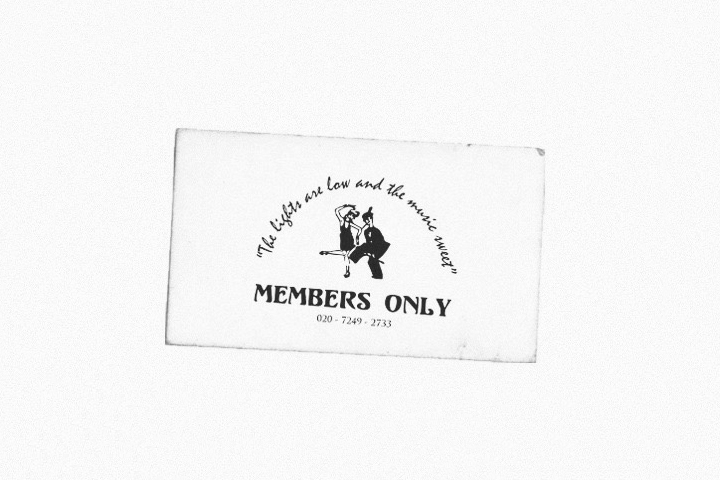 For their 6th instalment we’ve teamed with S.O.O.N to host the party and create a t-shirt inspired by 1920-30s speak easy cards, which served as certificates of membership and admission for illegal drinking establishments during Prohibition – buy your membership tee on the night and get a free drink at the bar. Come down from 9pm-3am and says hello, drink some drinks, throw some shapes, and have a good time.